Pay in full for best value or create your own financing plan. Operating at a post-secondary school level, completion of Knowledge Bureau courses provide credit towards certificate, diploma and designations. Continuing Education/Continuing Professional Development: Knowledge Bureau also welcomes professionals who seek an academic path to CE/CPD. 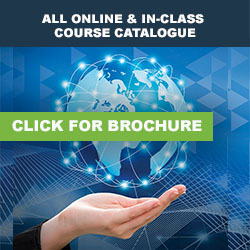 Choose CE Summits (10 hours), Distinguished Advisor Conference (up to 15 hours), or online certificate courses (2 hours for free trials; 30 hours for full credit courses). Online - Certificate courses: Tuition fee reductions of up to 25% may be received when students provide full payment for diploma or designation program enrolments. Live - CE Summits: Choose from three regional Canadian workshops to enrich online studies with instructor-led sessions and peer-to-peer learning and networking. Best tuition fees result when you choose all three workshops and pay in full. Live - Distinguished Advisor Conference (DAC): Register before October 1 for final registration - this year’s event; register before November 15 for best tuition - next year’s event. EZ-Y Instalment Payment Plan: Knowledge Bureau offers inexpensive financing options for single certificate course registrations as well as, diploma and designation programs. See pdf application forms and online registration sites or call 1-866-953-4769 for details. 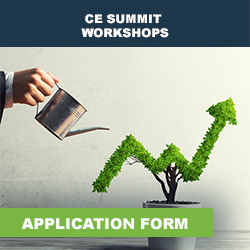 CE Summits: January 10, May 15 and October 15. Distinguished Advisor Conference: December 15, February 15, June 15, September 15. Please be sure to subscribe to Knowledge Bureau Report for notification of early registration deadlines to your email box. Returning Students and Designates: Qualify for Returning Client and VIP Designate rates. Please enrol through your Virtual Campus registration page. Single courses, multiple students: When 2 or more students in the same office want to start the same course at the same time, The Business Builder Program provides discounted tuition when more than one employee takes a designation program. See pdf application forms and online registration sites or call 1-866-953-4769 for details. Corporate Partner Supports: Knowledge Bureau will provide co-op funding for attendance at live events (DAW and DAC) for corporate partners who bring groups of advisors to live events. Tuition, Education, and Textbook Credits. Tuition paid in excess of $100 paid for a course of studies at a post-secondary level will be eligible for the tuition amount. For study before 2017, students may also be eligible for a full-time or part-time education and textbook amount. Any unused education and textbook amounts at the end of 2016 may be carried forward to be claimed in future years but no new education and textbook amounts can be earned after 2016. • a similar provincial or territorial government laws. Employer-paid tuition: Employers may deduct the cost of tuition as a business expense if the programs are of benefit to the employer's business. In that case, tuition paid for employees will not be a taxable benefit and the student will not be eligible to claim the tuition tax credit. Full time attendance. Knowledge Bureau will consider the student to be in full time attendance for purposes of funding under the RRSP Lifelong Learning Plan and tuition/education amount if that student enrols in a designation program. • Enrolment period – Full Time Students. The designation program must be completed within a 6 month enrolment period. Part time attendance. Knowledge Bureau will consider the student to be in part-time attendance with Knowledge Bureau for the purposes of CRA (Canada Revenue Agency) requirements. • Enrolment Period – Part Time Students: For part time students, a maximum of 4 months for each certificate course taken. A professional development course is taken as required or recommended by a professional body to maintain professional standards. A tax course is taken by a lawyer or accountant who is qualified to do tax work, whether or not he or she has previously been actively involved in such work. Business Conferences. The deduction for conferences is limited to two per year. The Distinguished Advisor Conference™ (DAC) is held in locals where Canadians go to retire to determine the economic, retirement, investment, currency, health risk management and tax environment for which tax and wealth planning is required. This makes the educational programming unique and specific to the wealth management needs of clients and unavailable elsewhere in North America. Delegates should seek professional advice for tax deductibility in their personal circumstances. Several other criteria may exist for out of country conventions. CRA may question the deductibility of expenses incurred attending a course held in a distant location or in a recognized holiday area. The fact that a training course in such a location or area was of relatively short duration and was followed by a personal holiday may indicate that the costs claimed, or a portion of such costs, are not deductible training expenses but are personal expenses. Students may fund their studies with Knowledge Bureau from their own education savings. TFSA: Deposits to a TFSA are made with tax-paid dollars (there is no deduction for the deposit), but grow quickly because the investment income earned in them is always tax-free. The holder of the TFSA must be at least 18 years old at the time of the deposit and also must be a resident of Canada. The deposit may be made by the parents, grandparents, or anyone else who wishes to make the contribution. When the money is withdrawn, TFSA contribution room is not lost, meaning it can be replenished for other purposes, like buying a home after graduation. By accumulating funds in a TFSA for their children, and/or starting a TFSA when their child turns 18, parents also avoid a tax liability in the future if the child doesn’t attend school ; not so for the RESP, discussed below. TFSA contributions are limited to an annual contribution room currently $5,500. Since inception, TFSA contribution room has grown to $46,500, which can be topped up anytime. RESP: RESPs allow parents to accumulate savings for their children on a tax-deferred basis with the added bonus of government grants of up to 20% of the first $2,500 contributed by the parent. The maximum annual grant is $500 but catch-up grants of up to $1,000 are available. The maximum contributions to the plan are $50,000 per beneficiary. For low-income families an annual Canada Learning Bond is also available even if no contributions are made by the parents. If the beneficiary becomes a full-time student, the funds (called Education Assistance Payments - EAPs) are taxable to the student. But due to low income levels, that’s often nil. If the beneficiary does not become a student, the grants and bonds must be repaid and any amounts earned in the plan must be included in income of the contributor, with a 20% penalty over and above the normal tax rate. (This is called an Accumulated Income Payment). However if the contributor has RRSP contribution room, up to $50,000 may be transferred into the RRSP, resulting in deferred taxation. The student must be enrolled full time in a designated educational institute or qualifying educational program (or has received an offer to enrol before March of the next year). Full time means lasting three consecutive months or more and requiring 10 hours or more per week on the course or work in the program, including lectures, practical training, lab or research time, but not study time. The educational institution determines who is a full-time or part-time student. See details above for Knowledge Bureau policies. The qualifying educational program requirement is possible for courses taken by correspondence or for a distance education program. The institution may consider the student to be enrolled on a part-time basis. If this is the case, the student cannot participate in the LLP. The only exception to this rule is those who are disabled, who can attend part-time. Free Trial Period and Refund Policies. Students may withdraw from the program at no charge within the first seven (7) days of registration. This is the free trial period. There are no refunds after this, except in the case of severe hardship (illness or death). See Student Responsibilities. Course Switches. Students may make a switch out of one course for another at no charge if the course is unsuitable (too easy, too hard, wrong topic, etc.). 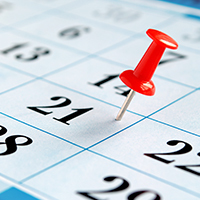 Extensions: Extensions of enrolment periods may be granted on a month-over-month basis with payment of a lapse fee of $99 plus taxes over a maximum of 6 months. Re-enrolment after Course Expiry: After six months, students may re-register with a re-enrolment fee of $295. New course materials and access will be granted. Rewrites: Our rewrite policy is discussed in greater detail in our courses. One rewrite attempt will be allowed within a month of unsuccessful testing. Rewrite fees are $295 per exam.